2 x 1kg Wrist and Ankle Weights. 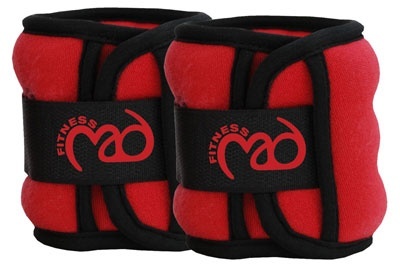 These wrist and ankle weights feature a unique double fastening system to ensure a snug, friction free fit. There are no buckles to stick into you and the weight is evenly distributed for maximum comfort. The weights attach easily over wrist or ankle to increase the intensity of your workout routine. Image for illustration purposes only - colour is dark grey with black piping.